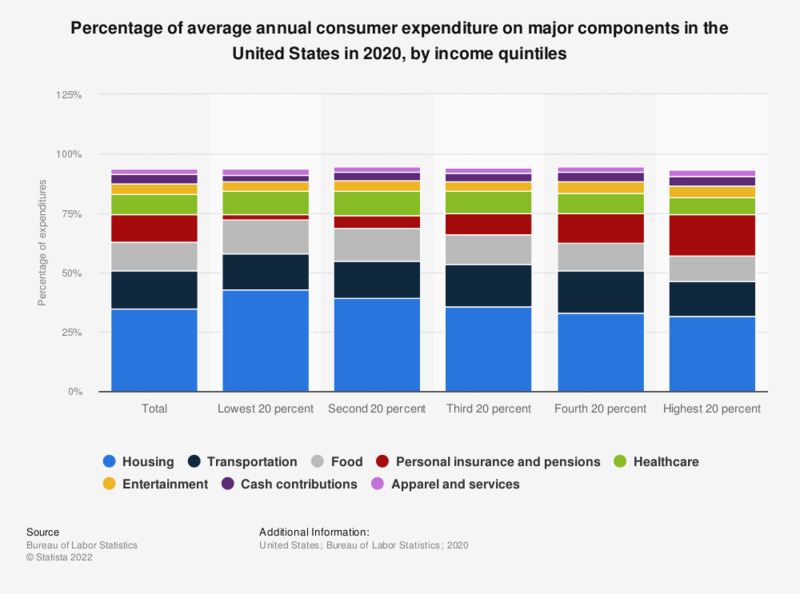 This statistic shows the percentage of average annual expenditure of consumer units on major components in the United States in 2017, by income quintiles. In 2017, the lowest 20 percent of income consumer units spent about 40 percent of their total expenditure on housing. Consumer units belonging to the highest 20 percent of income spent only 30.1 percent on housing.